Critics and readers agree! To Forgive, Divine is an unforgettable story you can't put down! 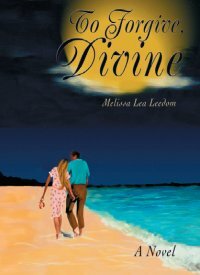 A copy of To Forgive, Divine makes a wonderful, romantic gift! To Forgive, Divine is available in print and on Kindle from Amazon.com. Click on John 1:12 to view an uplifting devotional featuring the Spring wildflowers of Central Texas. Click here to contact Melissa.